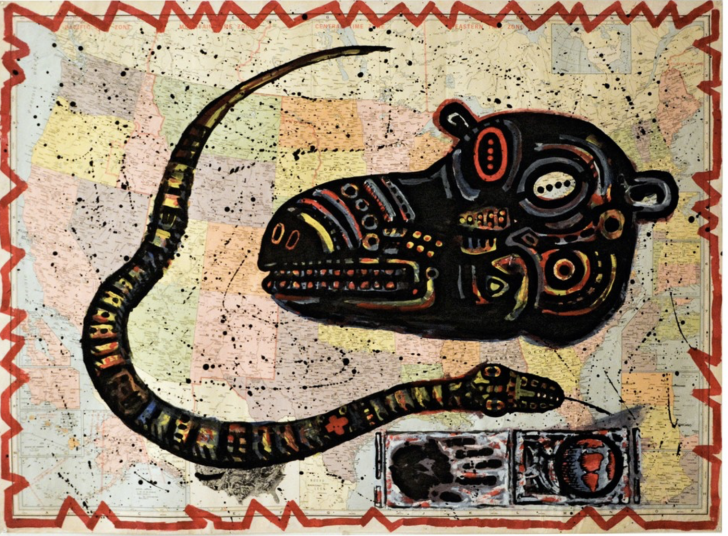 Through Dec. 21, Luis Frangella and David Wojnarowicz, gay artists and leading figures in the 1980s East Village art scene, are the subjects of a joint exhibition, "Desde New York: Luis Frangella / David Wojnarowicz" at Hal Bromm Gallery. The show examines the synergy of these two artists and their circle of friends who influenced the 1980s contemporary art world. As artistic collaborators and close friends, Frangella and Wojnarowicz shared a unique relationship as mentor and protege. Both artists died of AIDS in the early nineties, leaving behind rich bodies of their work, a reminder of the creative forces whose lives were extinguished by the AIDS crisis. Click here for upcoming panel discussions about the artists. The gallery is at 90 West Broadway. Gallery hours: Tue - Fri 12-5. The show closes on December 21.